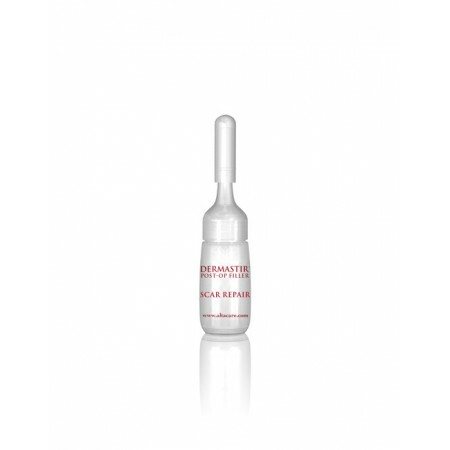 Dermastir Post-Fillers are indicated to be used to repair all types of scars. A combination of soluble collagen and antiseptic ingredients penetrate the skin without the need of any needles. The soluble collagen particles are visible to the naked eye but they still penetrate deep into the skin by means of nanotechnology. The collagen particles found in Dermastir scar repair fillers are 40 nanometres in size. This allows the collagen particles even though presented in a solid form to still be absorbed into the skin.